Hard "turtle back" shell for easy swivelling and durability. 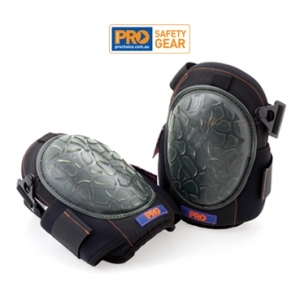 Gel padding back and sides enhances comfort and assists in even weight distribution. Double neoprene straps provide secure, comfortable fit. Clip on buckle for easy on/off and easy adjustment. Sold and packaged individually.